After purchasing our first 5th wheel RV, it took us a while to get comfortable with the fine art of hitching up. Once we understood the basics, we wondered what else we needed to know to make the process smoother. What is a 5th wheel lube plate, and is it really needed? Perhaps you’re asking the same questions we did. A 5th wheel lube plate is a relatively small piece of flat machinery that you place inside your hitch mechanism to keep it properly lubed up and reduce friction. 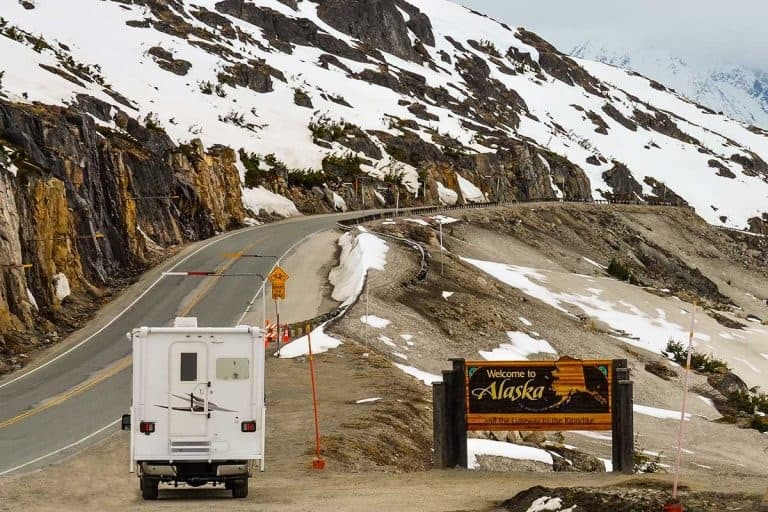 When hitching and hauling your 5th wheel over long distances, it really does make sense to invest in accessories that will protect your RV. While pulling your 5th wheel, friction causes the metal to metal contact of the kingpin on the fifth wheel hitch which can damage these parts. It’s necessary to lubricate all pivot points where the hitch head meets the hitch. Lubricating can be done with lithium grease, however, most owners find it much simpler to purchase a kingpin lube plate. Using a lube plate to protect your hitch mechanism is a convenient way to keep your 5th wheel maintained and functioning smoothly. You may still have questions about how to choose the right 5th wheel lube plate and how to install it. The process is actually quite straight-forward and simple. Since we’ve already done this with our new 5th wheel, I’m happy to describe in detail everything I think you need to know. For years, 5th wheel owners used lithium grease to keep their kingpin and hitch lubricated. This process involves greasing the bottom of the pin box, the kingpin, and any point where metal contacts metal. It may also require the owner to remove the hitch from the bed of the truck, so all parts of the hitch can be easily accessed. Greasing your hitch is not a difficult process, but can be messy and it also takes time. Grease also can attract dirt, which will need to be cleaned later. 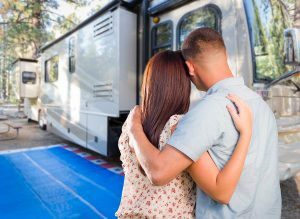 Furthermore, the greasing method of lubrication will need to be performed on a regular basis, depending on how much you’re using your 5th wheel. Using lithium grease to lubricate the kingpin and hitch system still works, but there is a newer, cleaner and more time-efficient solution. In 1989, patents were published in the US that conceptualized a ‘self-lubricating’ system for towing. The lube plate was invented, and public demand continues to push newer and better products onto the market. Installing a 5th wheel lube plate eliminates the need for greasing the hitch system. The lube plate creates a buffer between the bottom of the pin box and the surface area of the hitch. Since the metal is not grating against metal, this protects your hitch system without the use of messy grease. Most people are happy to use this inexpensive option instead of taking the time and effort to apply grease to all the moving parts. 5th wheel lube plates that attach to the pinbox are relatively cheap, between $10-25 per plate. This makes it an extremely affordable way to maintain the hitch, even if the plate needs to be replaced a few years down the road. Lube plates that are applied directly on top of the hitch are more expensive to purchase. From $65-$250, these accessories are more heavy-duty. The installation is slightly more involved also, requiring screws to attach pieces onto the hitch. Most 5th wheel lube plates are constructed out of a sturdy polyethylene. This high-density material stands up to the friction created on the kingpin and hitch while pulling the 5th wheel. Some newer products also claim to contain and release graphite onto the surface of the hitch. This type of product should create even more lubrication benefits to the hitching system. Which size lube plate do I need? Generally speaking, the two sizes that lube plates come in are 10-inch and 12-inch. While there is not a huge difference in the two sizes, it’s important to get the best fit. If the lube plate is too large for your hitch, it will stick out and can rub or break when the pin box moves against the hitch plate. Lube plates also vary in thickness. It is widely assumed that the thicker the lube plate, the more durable it should be. However, users report differences in this as well. You can consult consumer reviews to get a better idea of how the thickness of different plates holds up over time. 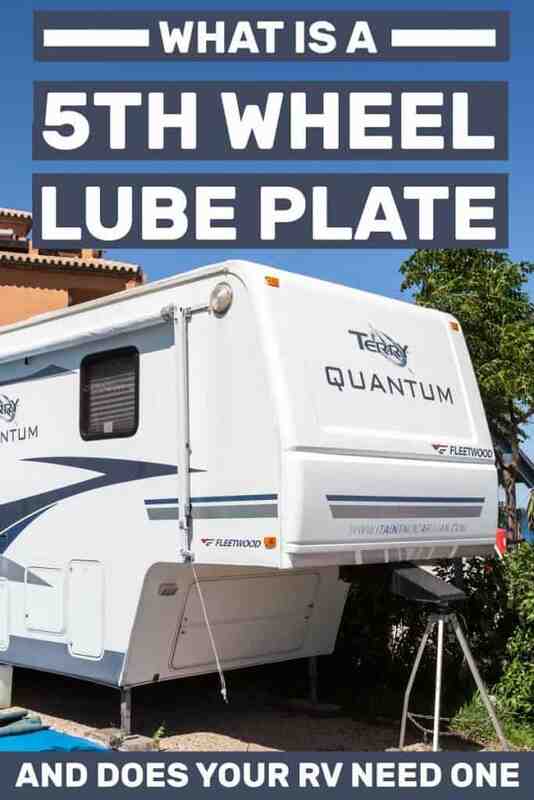 If you have questions about which lube plate is the right size for your 5th wheel, you should consult the hitch manufacturer or owner’s manual. You can also refer to the hitch company’s website, and search for your hitch’s make and model to find the recommended lube plate size. Here are a few examples of lube plates on Amazon.com that are popular models with good reviews. This highly rated 5th wheel lube plate here is 10-inch round and is 3/16 inch thick with a limited 2-year warranty. This lube plate is made of durable polyethylene. It is easy to install and corrosion resistant. Check out this product here. 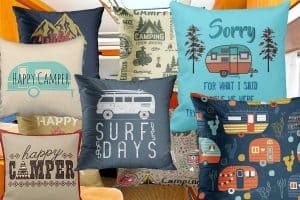 Curt is another brand that turns out quality RV accessories. This 5th wheel lube plate has a 10-inch diameter and is also available in a 12-inch diameter. It features self-cleaning grooves to maintain good lubrication. You can find this lube plate here. This product is also known under the brand Camco, and customers have been using it for years. As well as protecting the 5th wheel from friction it also eliminates vibrations and noise. It’s easy to install and stands up to the test of time. This last example I’ve included so you can see that a lube plate looks like that attaches to the hitch itself. The other three lube plate pictured above are all applied to the kingpin box. The function of this lube plate is the same as the others, but it’s installed in a different place. It is a more expensive lube plate, than the others, and isn’t as popular on Amazon as the less expensive choices. After looking at the 4 different products above, you can see that there are different ways to install. All of them are fairly straightforward and can be done without the help of a professional. Using a good degreasing product, clean the kingpin and pinbox area well. Once you’ve pushed the lube plate around the kingpin, it should fit snugly. Slide it up to the flat surface of the pinbox, where it will stay. That’s it! When you hitch up your 5th wheel for the first time with the new lube plate, check to make sure the jaws of the hitch latch securely onto the kingpin and that the thickness of the lube plate does not interfere with the mechanism. If the size is incorrect, the lube plate may hang over the edge and rub awkwardly. If this happens, try to readjust or purchase a lube plate with a diameter that fits your hitch more accurately. This application will only be used if you purchase a U-shaped lube plate that will look like it should fit on top of the hitch. This should be fairly straight forward, as there will be only one way it can sit on top of the hitch, with the right parts facing upwards. These lube plates will come with the needed hardware (nuts & screws) as well as a set of instructions. Usually, there are 6 screws and nuts that you’ll need to drill into place to secure the lube plate. The installation is complete! As mentioned before, you want to make sure that it does not interfere with the grip of the hitch onto the kingpin. If you see that the hitch does not work properly with the lube plate on, make sure that it’s attached correctly. Check with the hitch manufacturer to make sure that the lube plate is compatible with the make and model of your hitch. 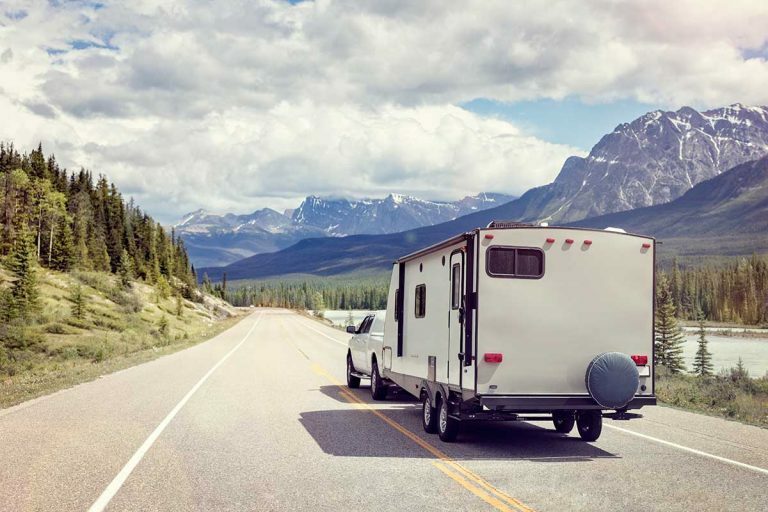 Whether your lube plate attaches to the kingpin or to the head of the hitch, it is recommended to perform a pull test before hauling your fully loaded 5th wheel over a long journey. This is a difficult question to answer since it really depends on how frequently you are hauling your 5th wheel and over what distances. The terrain of the road and the weight of your 5th wheel are factors as well. Some users use their lube plate for a season or two before replacing it, while others say they’ve used theirs for many years. It’s wise to check your lube plate from time to time and if you see uneven wear or any tears, then it’s time to replace it. Sometimes it helps to clean any debris that is getting between the plate and the pinbox or the plate and the hitch. Either way, use common sense and replace it when it seems like it’s wearing out. The 5th wheel lube plate will go a long way to prevent damage to your hitch. 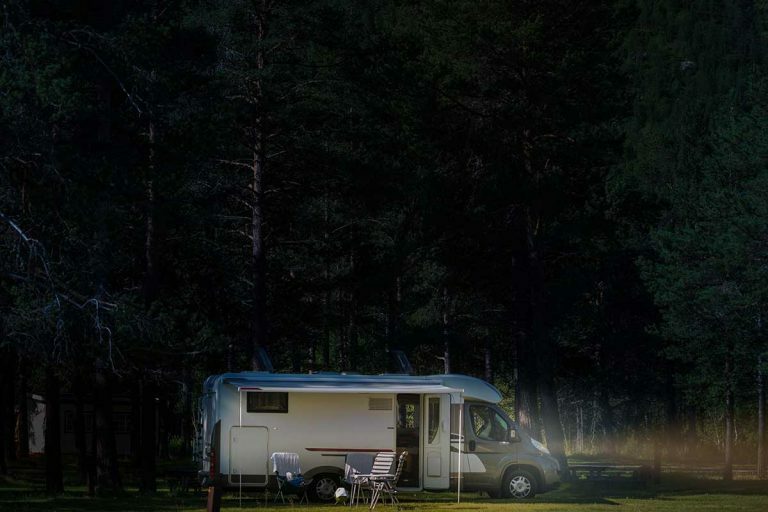 However, there are a few other tips that can help to maintain the efficiency and safety of your 5th wheel hitch. 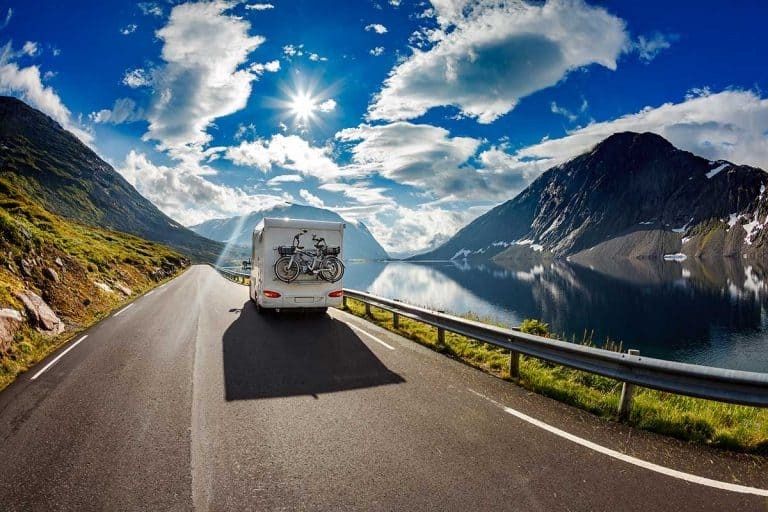 Before leaving on a trip, be sure to inspect the hitch and check for any loose nuts or bolts. Check to make sure there are no parts missing or coming loose. Inspect the breakaway cable to make sure that it isn’t frayed or compromised in any way. This connection is what will hold your rig together in the event that the trailer does detach on the road. 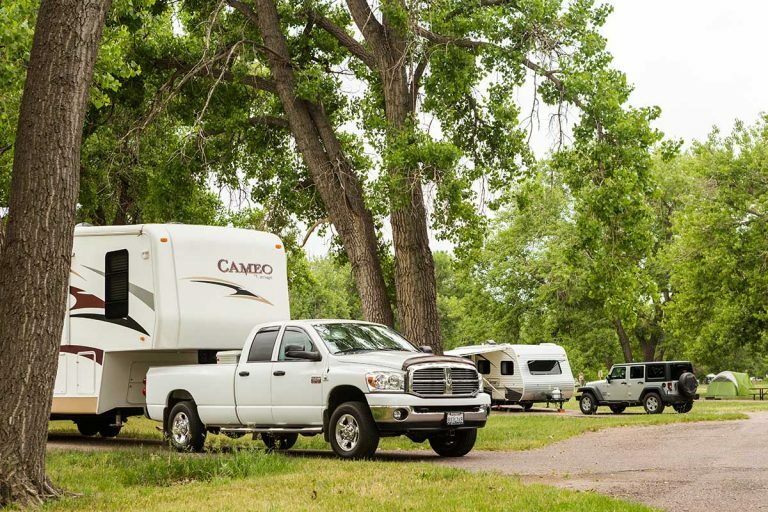 We hope that these tips have helped you learn what you need to do to keep your 5th wheel hitch in good shape. 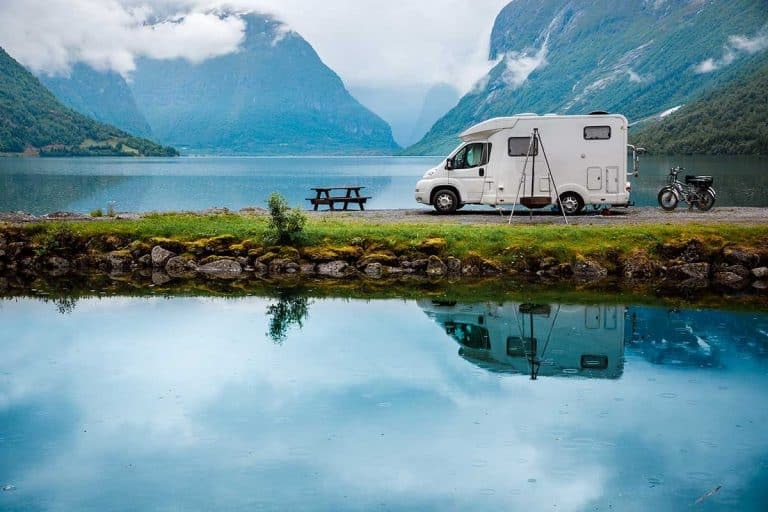 Using a high-quality lube plate, as well as following our other maintenance tips will give you peace of mind as you set out on your 5th wheel adventures. Fulltime RVing with my family of 5 since July 2018. Our 34-foot Grand Design 5th wheel is our home while we travel across the United States and back again. 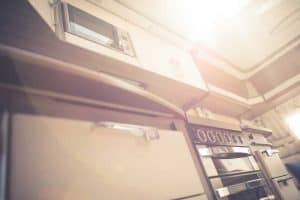 Best RV Ovens and Stoves That Will Make Camping Even More Delicious!